On the way to San Francisco I have done this shot out of the window of the plain at 36000ft (11km) height. 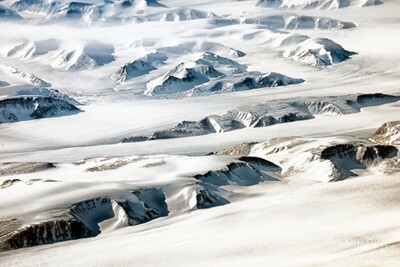 I was fascinated by the flow of the glaciers and the mountain peaks. The ice of greenland is about 3km thick.